One of the things I love about Nintendo is how they occasionally, with little to no fanfare, release inexpensive first-party titles on the Japanese eShop—especially as the newest of these titles is Box Boy: One More Box, the sequel to one of last year’s best games. Like the original Box Boy, One More Box is a puzzle platformer that follows the titular Box Boy—a literal box with tiny arms, legs and a face—as he tries to save his similarly boxy world along with his boxy friends. To do this, he goes through dozens of stages, using his ability to produce additional boxes from himself to bypass the countless challenges he faces. At the start, it’s as simple as building a set of stairs. Soon, you need to basically turn Box Boy into a walking Tetris block to grapple up ledges. Of course, this is just the start of what eventually become mind-bendingly complex puzzle rooms that force you to utilize an ever increasing set of strategies. But what’s the difference between Box Boy and One More Box—other than dozens upon dozens of new levels? Simple. Box Boy can now produce two sets of boxes: one blue, the other green. While this may not seem like much to begin with, the entirety of the original was based around the fact that you could only produce one set of boxes—you had to figure out how to use said chain of boxes to overcome the various environmental hazards. Playing around with two sets of boxes opens up a whole new world of gameplay. Like many first-party Nintendo titles these days, beating the game is only the first step. The initial 10 worlds—enjoyable as they are—are little more than an extended tutorial for the post-story content. Once the ending credits roll, the real challenges begin as nearly all the hazards from the first Box Boy return in force—and in completely new mixtures and configurations. Over the first half of the game, I was able to collect every optional “crown” in each level without much difficulty. (The crowns, collectibles that are often a bit out of the way, despawn if you use too many boxes before collecting them.) Once I hit the post-story worlds, I was lucky if I could figure out how to get one in every three. There were even a few times in the later levels where I found myself completely stuck—with no idea what I should even be trying to do. Luckily, the game has an excellent built-in hint system. By spending some in game points—which you will easily have hundreds of—the game briefly shows you the final solution to the problem. However, even then it can be tricky. Just because you know the “destination” doesn’t mean you still don’t have to figure out how to get there. Like its predecessor, Box Boy: One More Box feels like a lost Game Boy classic—or, perhaps in this case, a lost Game Boy Color classic. It’s got all the excellent level design and gameplay you’ve come to expect—along with a hefty helping of cute Nintendo quirkiness. Or to put it another way: More Box Boy is never a bad thing. 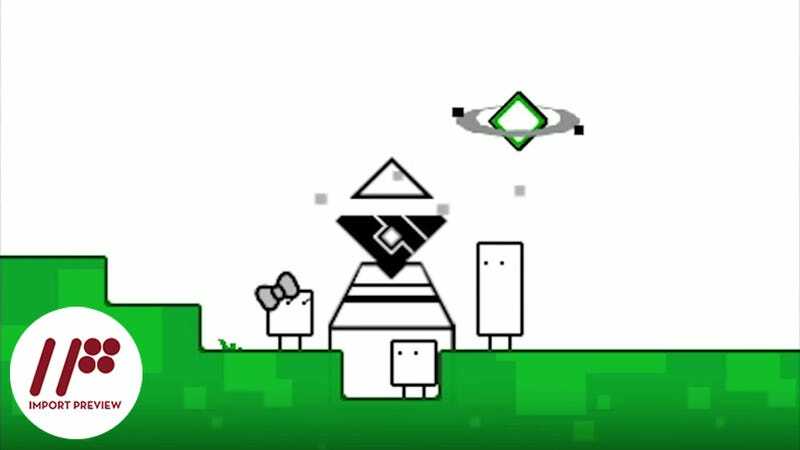 Box Boy: One More Box was released for the Nintendo 3DS in Japan on January 5, 2016. There is currently no word on a Western release.